!! 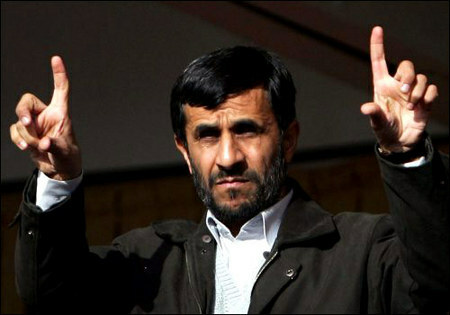 OMG he blogs: Mahmoud Ahmadinejad !! The famous GAY REFUTER, Iranian President Mahmoud Ahmadinejad, has been busy posting on HIS BLOG. The lack of punctuation is also [sic]. Have a look after the jump at the SNL digital short starring Fred Armisen doing an amazing impression of Ahmadinejad. Thanks to Kevin R. for the tip. Be the first to comment on "OMG he blogs: Mahmoud Ahmadinejad"